Advanced Bionics knows that you have hopes and expectations for your child’s future. You want your child to learn to talk, laugh, make friends at the playground, and attend mainstream schools. Whether your child was born deaf, experienced sudden hearing loss, or no longer properly benefits from hearing aids, an Advanced Bionics cochlear implant system may be an effective solution for treating your child’s hearing loss. Our products and rehabilitation tools have enabled thousands of children around the world to talk, succeed in school, and socialize with peers. 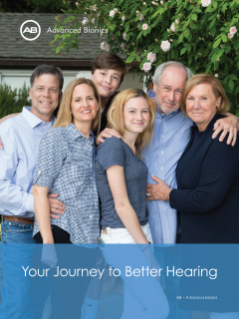 As you and your child embark on this journey to hearing, you can trust that AB’s valuable network of hearing healthcare professionals, recipients, and parents of recipients will encourage, inform, and support you along the way. AB understands the stress and emotions that come with hearing loss, so we strive to make your child’s journey to hearing as easy as possible. From helping you determine candidacy assisting with financing, and standing by your side throughout implantation, recovery, activation, and habilitation, AB is there for your family every step of the way. 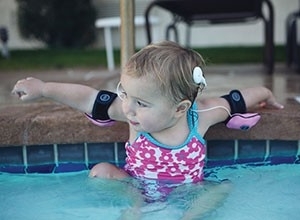 The Bionic Ear Association (BEA) connects you to hearing healthcare professionals or mentors who offer one-on-one support throughout your child’s journey to hearing. You can also join AB’s HearingJourney.com – the largest online cochlear implant forum providing a place to chat, laugh, learn and share stories about life with cochlear implants and hearing loss. 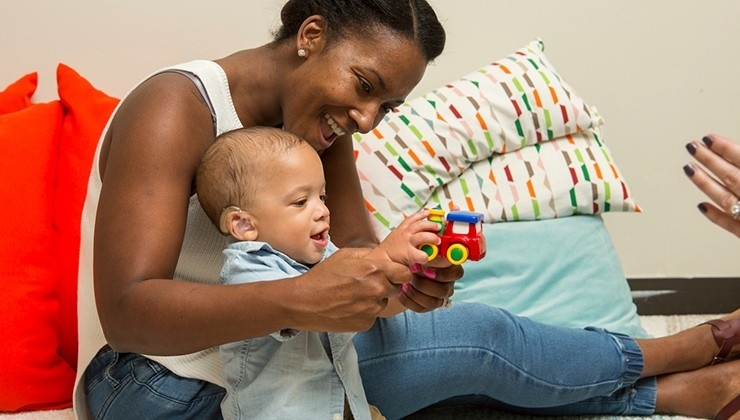 The rehAB portal is the place to find resources that you can use to support your child right now and other resources that will grow with your child. Click here to get your free tools. If your child is a cochlear implant candidate, your hearing health practitioner will schedule your child for implantation and initial activation, which is when your child begins hearing the first sounds with their cochlear implant. It won’t be long before your child is hearing their best with AB. AB is here to help you navigate the process of getting your insurance coverage approved. Contact AB’s insurance reimbursement specialists for assistance. They are well versed in AB’s medical device and know how to advocate on your behalf.